Nike present the PGS LTR Runners Pack for Spring 2015 consisting of finely tuned iterations of 3 iconic running silhouettes pulled from the brands extensive archives. Each of the 80’s runners receive a premium rework, applying new materials and muted colour palettes to give a clean, minimal look to each shoe. 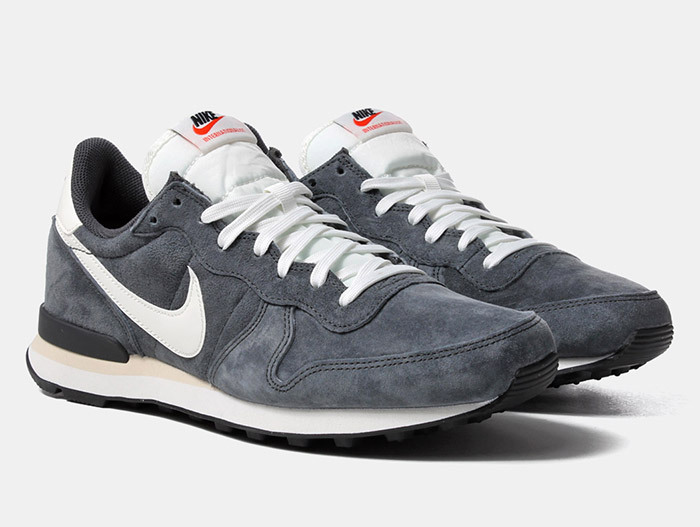 The Nike Internationalist debuted back in 1982 and following a 30 year hiatus returned to our shelves in 2014. Originally designed as a long-distance running shoe, its sleek shape and reasonable price point has made it a favourite in the lifestyle market. 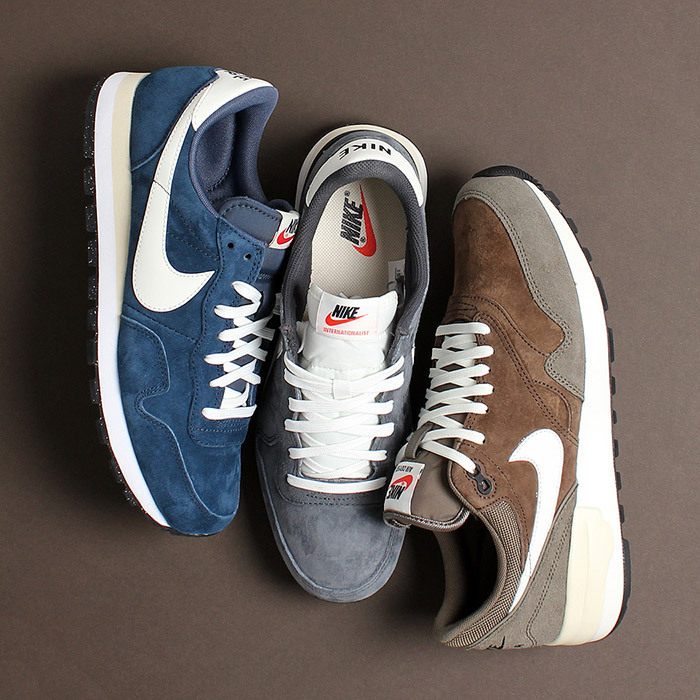 The latest rework sees premium suede grace the upper, with white leather applications onto the swoosh and heel panel. All of this sits on a white EVA midsole and black rubber outsole. 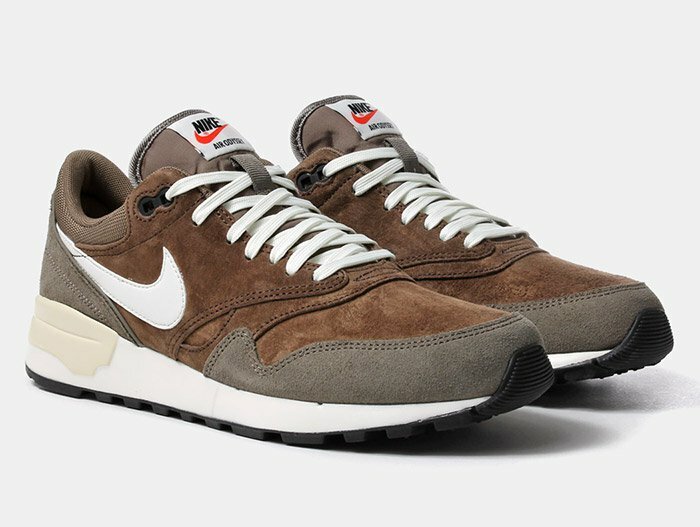 The Pegasus is one of Nike’s most heralded shapes. Making its first appearance back in 1983, the model gained attention because of its streamlined shape and modified waffle sole. 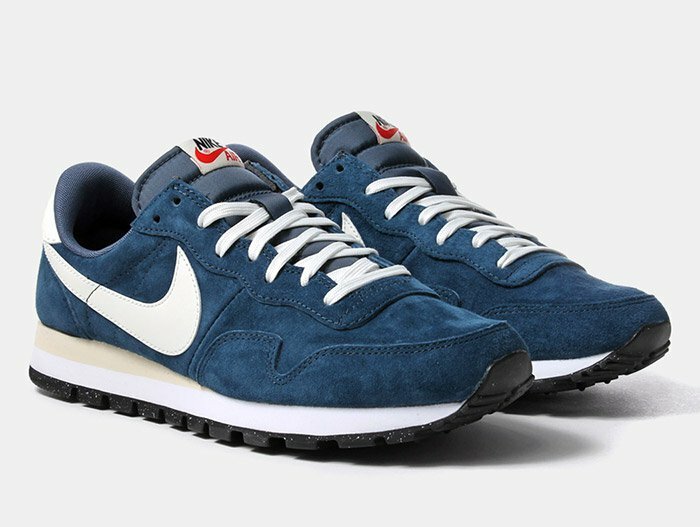 The shoes make up is similar to that of the Internationalist with an all over blue suede on the upper, white leather on the swoosh and heel, as well as the white midsole and black outsole. Additional features include contrasting white laces and branding on the heel tab and tongue. Another from the 80’s, the Air Odyssey is probably Nike’s lesser known retro silhouettes in the brands huge archive of notable releases. Its minimal frame and simplistic aesthetic makes for a great all round shoe, which still maintains its flexibility and comfort. The Odysee continues in the same vein as the rest of the pack, with its brown suede upper, leather detailing and white EVA midsole. Additional features include embroidered branding on the heel, off white heel counter and dark grey suede overlays on the mudguard.